Botox; Is it for me? For over 19 years, Botox® has been used in Canada. In 2001, Health Canada approved Botox® for cosmetic use for the glabella (the region between your eyebrows). Shortly after in 2007, Health Canada approved Botox® for cosmetic use for all facial wrinkles. There are over 16 million Botox® treatments performed in North America and it is one of the most widely researched medications in the world with over 2000 medical publications. It has been approved for medical use in more than 75 countries for 20 different applications. 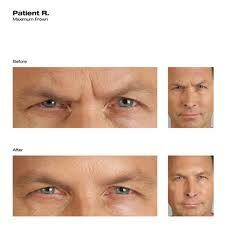 Botox® binds to the local nerve at the injected site. It then inhibits the release of acetylcholine, therefore blocking the message from the nerve to the muscle. The muscle in the area relaxes when it does NOT receive a message from the nerve, thus creating or maintaining a smooth skin surface. Botox® treatments typically last for approximately 3 months. With repeated treatments, each treatment can last up to 4 months. How soon does Botox work? Botox® usually takes 3- 10 days to take effect. The appearance of wrinkles and lines may continue to diminish for up to 10 days. Botox® is not permanent. There are no permanent side-effects. What is Botox® Treatment like? 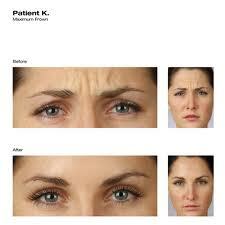 Botox® is injected very precisely into the muscle being treated. A very small needle is used, the size of daily insulin needle, to inject a small amount of Botox® into the area. The sensation has been compared to a bug bite. No local anesthetic (freezing) is required. The procedure is quick and simple. It takes approximately 10-15 minutes to perform but a little more time to go over any questions or concerns the patient may have. 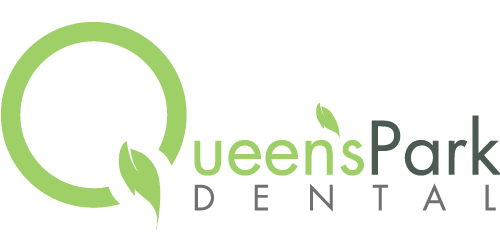 At Queen’s Park Dental, we schedule 30 minute appointments for a Botox® Consult and Treatment. Also we do an in office 2 week follow-up to make sure the patient is happy or to do any necessary touch-ups. Will I still be able to express my facial muscles and smile? Botox® is intended to enhance the way you look, not change it. The treatment only relaxes the muscle beneath the lines at the point of injection, so the other elements of your facial expression remain active. Keep in mind it has no effect on sensory nerves, you will still have normal feeling in the treated areas. Side effects are rare but reported side effects include; bruising and bleeding at the side of injection, localized tenderness at injection site, headache for a short duration, and rarely eyelid ptosis (drooping of upper eyelid) and brow droop which are all reversible. Are there any creams that are better than Botox®? At this time, there is no scientific evidence that supports that creams work better than Botox®. Creams work well on the surface of the skin but Botox® works below the skin to relax the muscle that causes the lines and wrinkles to form. Disorders of the neuromuscular junction such as ALS, Eaton Lambert Syndrome, Myasthenia gravis. Xeomin® produced by the company Merz Pharmaceuticals and can be used in the United States for limited procedures as well. Xeomin was just recently approved for use in Canada in July 2009 for Blepharospasm, Cervical Dystonia and Post-Stroke Spasticity.